This is my entry for Kylie’s Challenge on the SWV Spring themed Cyber Crop from the weekend. We had to use floral paper, a flower transparency, a chippie flower and include the word “flower” in the title. Thanks for looking 🙂 Hope you all have a great day…. what’s left of it lol. This entry was posted on September 14, 2009 at 7:24 am and is filed under Uncategorized. You can follow any responses to this entry through the RSS 2.0 feed. You can leave a response, or trackback from your own site. 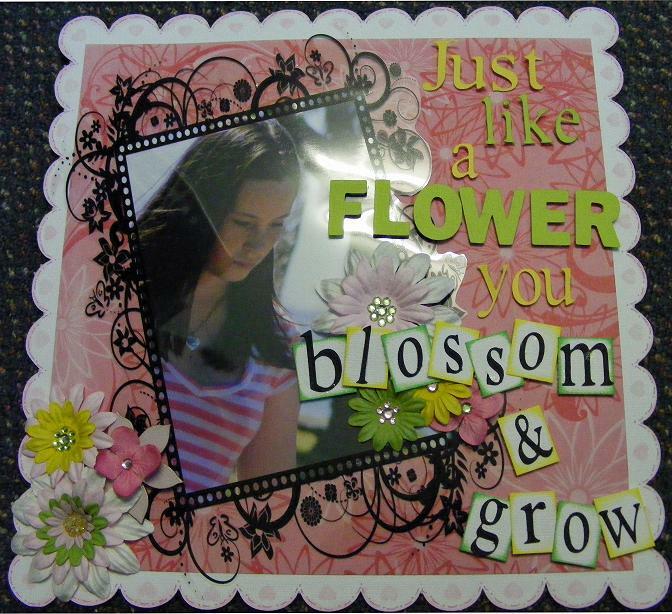 Gorgeous layout Kris, love all those swirlies around the frame…very pretty!